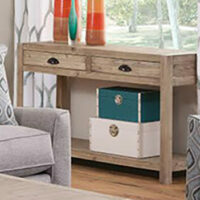 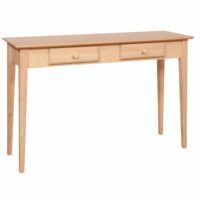 The Alder Shaker Sofa Table is made with true American craftsmanship and timeless Amish style. 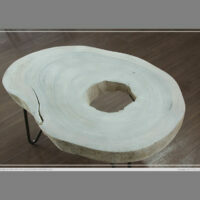 The Brookstone Bench is ready to finish with your special creative outlook. 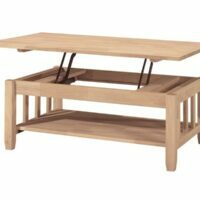 The Shaker Coffee Table part of the Shaker Collection. 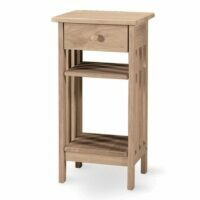 The Hampton Bedside Table has a simple contemporary design that will fit in any home decor. 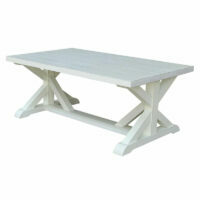 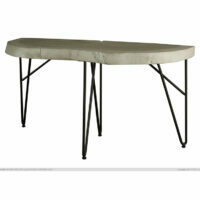 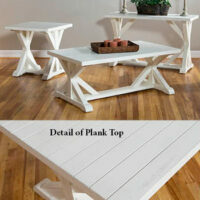 This table can be used almost anywhere; hallway, bedroom, or living room. 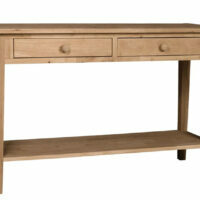 It has one drawer and is made of solid, sustainable Parawood. 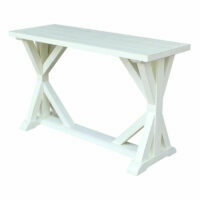 The Whitewood Hampton Table has a simple contemporary design that will fit in any home decor. 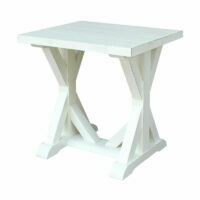 The High End Table has a simple contemporary design that will fit in any home decor. 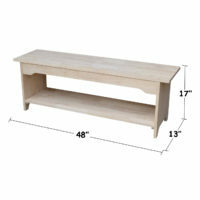 It's 26 inches high and has one drawer and a small shelf. 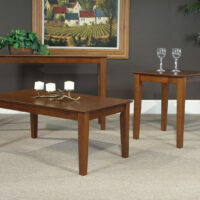 The Home Trends & Design Square Table with adjustable iron base is a unique accessory table from the Home Trends & Design Industrial Collection. 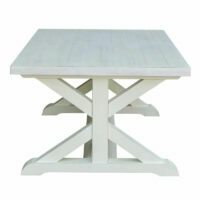 The Square Table features a hand crank that allows you to adjust the height. 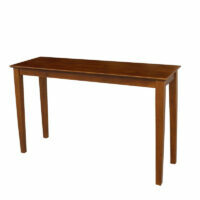 It combines a reclaimed teak wood table top and an iron metal base that is fully functional. 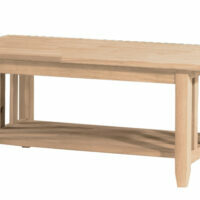 The Mission Coffee Table is made of solid parawood. 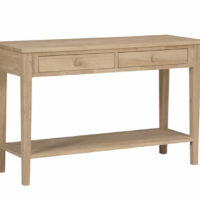 The Mission Entry Table is simply stylish and makes a great first impression for your entryway. 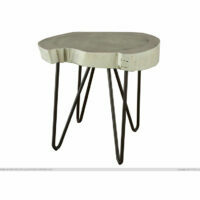 The Mission Lift Top Coffee Table is made of solid parawood. 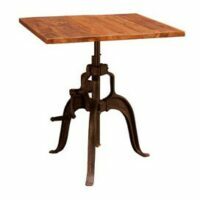 The table has a built in scissors raised top. 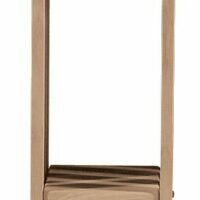 The Whitewood Mission Telephone Stand is a great accent piece that can also be used as a plant stand. 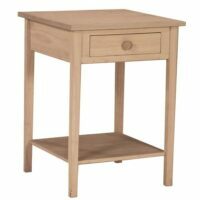 The Phillips Bedside Table has a contemporary design that will fit in any bedroom. 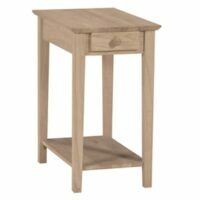 It’s 21 inches high and has one drawer and a small shelf. 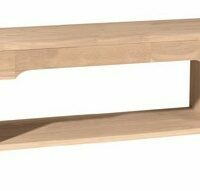 And it’s made of solid, sustainable Parawood. 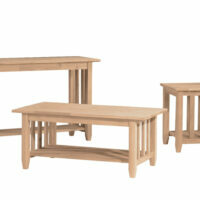 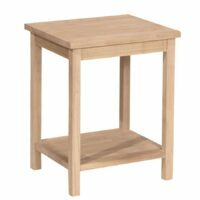 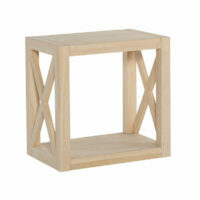 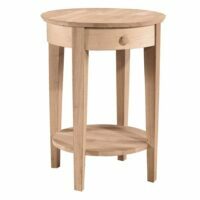 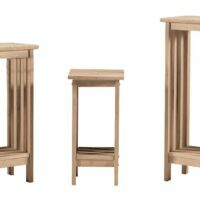 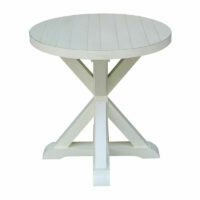 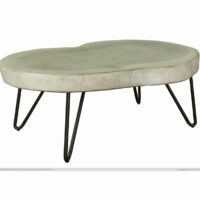 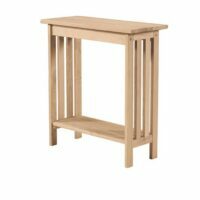 The Portman End Table is part of the Portman Table Collection.